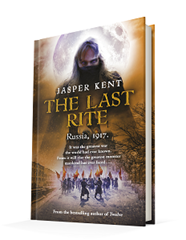 Published February 1, 2015, by Transworld Publishers The Last Rite by Jasper Kent is the final novel in his tale of vampires dealing with historical fiction, politics, and the might of the people. 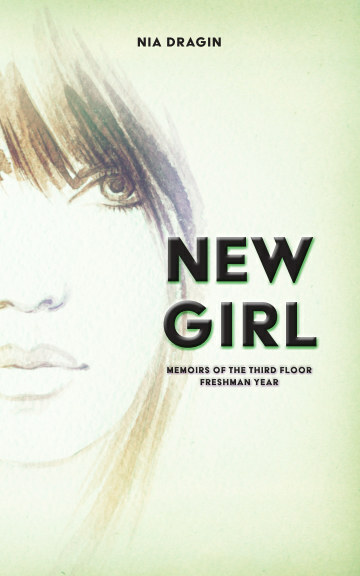 What makes this novel compelling is the historical context in which the events are taking place, and amongst everything else that is also what makes the novel stand out. The series began with Twelve, taking place in 1812 during Napoleon’s Russian campaign (which we all know failed utterly) and it ends here, during the Bolshevik Revolution of 1917. The series spans 102 years’ worth of history, taking a focus on a country that has so much upheaval, while also keeping them all the same characters intact, even those who were present in the story. Throughout the series the characters have been so captivating, growing from novel to novel, but also passing along from generation to generation. But the premise, for the most part, has always been the same: defeat and destroy the vampires that plague their great Russia. It’s a concept that one would see in the Enquirer “Russia under Vampire Leader,” but the way that Kent presents the novel is remarkable. This is a story; it is about the characters and how they are pushed to their limits while also capturing the internal struggle of these characters. The characters all have some baggage, and not all of it is personal. Political belief has a strong imprint on these characters. That is not to say that it is a political novel because it is not, but the reality is that these types of things affect people in so many ways. In the novel, the reader gets to see how these characters are motivated and why they are motivated the way they are. This adds a level of reality to the novel that doesn’t subtract from the paranormal but instead adds to it. These vampires are more than just monsters, emotionless monsters most definitely, but there is so much more to them than just what many have written about them. These are not vampires anyone wants to meet in real life, and that air of darkness that Kent has woven around them, it is breathtaking because it is different. Characterization is essential in this series, and Kent makes sure to have the story revolve around them with exceptional writing. As for the story itself, there are points where the novel drags, leaving the reader to wonder where exactly the story is going. In the previous novel, readers saw Iuda die at the hands of Mihail. Where does one go from there, from killing the main antagonist of the series? Kent brought Dracula into the series, yet he remained secondary as far as antagonists go. Moreover, his character hardly matters here since this novel captures the ending of Bram Stoker’s Dracula, taking away the possibility of him being another antagonist. So, the reader is left to wonder about the story. It is easy to see where the story might have gone; all the pieces were there, all the mystery and intrigue was carefully placed to lead the story in one direction. However, that is not where the story went, and the direction it took was utterly and wondrously unexpected. That is when the pace of the novel picks up because now something is going on other than just political upheaval. The past comes back to the all the characters, and while I am no history buff, I can say that the skill here gives me no doubt that Kent made sure that this novel was accurate. Well, accurate as it could be. It is clear to see just where he might have taken some liberties, but overall. They hardly matter to the overall plot of the story.